At Uberflip, we believe that marketers need to provide a personalized content experience in order to effectively engage with their buyers. Over the last two years, we have worked with Bombora, the leading provider of B2B intent data, to make AI-powered personalization a foundational part of our platform. Today, we’re excited to announce our extended partnership as we set out to change the way marketers personalize the content experience. The way we engage with our buyers has evolved dramatically over our lifetimes. What started as door-to-door salesmen speaking directly to each individual prospect, evolved to email and content marketing that allowed us to engage at scale. But we now live in a world where marketers need both personalization and scale to grab the attention of their prospects. With this need, we’ve seen an influx of AI-based technology that puts personalization at the forefront. Consider that from 2010–2017, Forbes reported that AI investment increased from $1.4B to $40B. That’s not hard to believe given the way that AI-powered personalization has seeped into so many of the experiences we have as online consumers. Just think of platforms like Netflix, Spotify, and Amazon. At Uberflip, we believe that AI has become table stakes in the way marketers engage their buyers with content. According to IBM, organizations that don’t personalize the experience for their buyers see 5x less revenue. That’s why we’ve invested heavily in making AI-powered personalization a fundamental part of our platform. 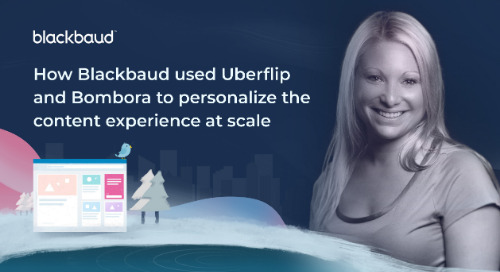 As a result of our initial partnership with Bombora, we’ve celebrated the launches of Uberflip AI and Site Engager, two game-changing features that give marketers a platform to personalize the content experience. Uberflip AI is the intent-based engine that powers personalized content recommendations in Uberflip. 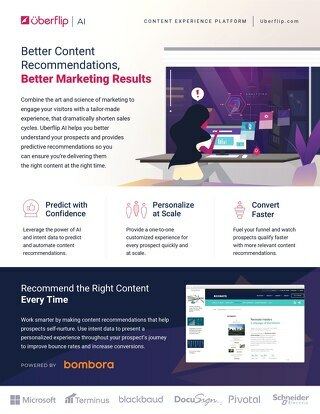 Through a seamless integration with Bombora’s intent data platform, we’re able to determine a visitor’s intent the moment they land on your site, reference that against the content you have in Uberflip, and serve up predictive content recommendations that compel them to click. 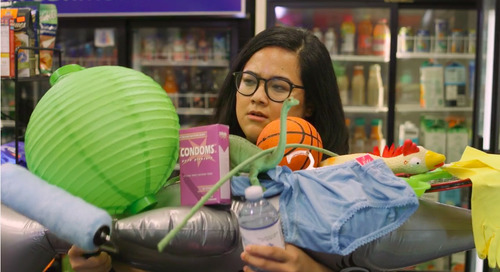 Through these content recommendations, marketers can now curate a tailor-made content journey for each visitor that compels them to engage and accelerate down your funnel. 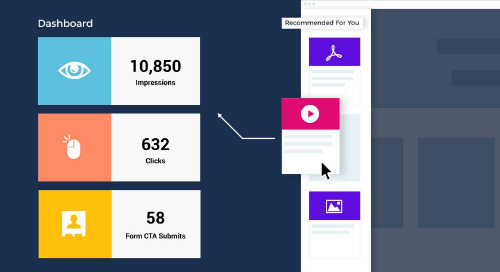 Uberflip AI customers are already seeing major lifts in content consumption, with personalized recommendations increasing the chances of a visitor consuming more content than generic recommendations by 60 percent. 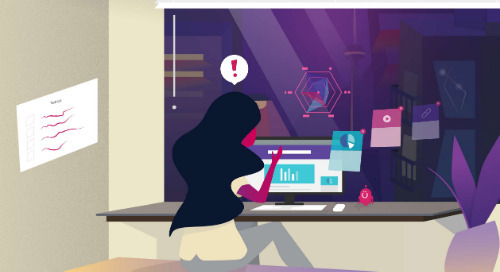 Uberflip AI also enables marketers with actionable insights regarding their audience and the content they’re consuming. Through our Audience Insights dashboard, marketers can see how their content aligns with the intent of their audience and use that information to fuel their content strategy. They can also see demographic and firmographic data to help them better understand what buyer segments are consuming their content. 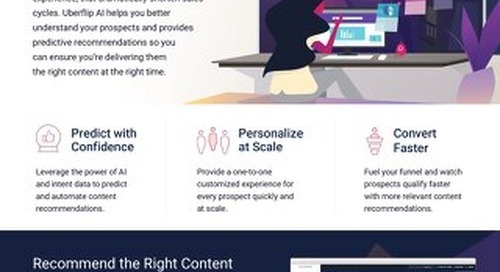 Uberflip AI began by offering content recommendations exclusively on Uberflip-powered pages, but we soon extended its reach to any website, using Site Engager. 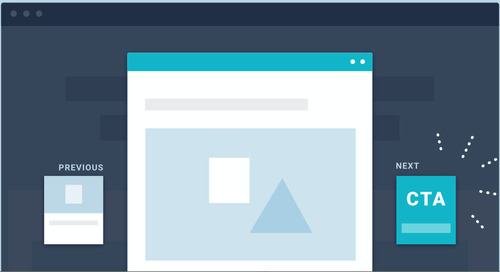 This easy-to-install plugin allows marketers to serve up content recommendations on their website and engage prospects with dynamic Streams of content right on top of the page. The changes that Uberflip AI has brought to our platform have been exciting, but we’ve only just scratched the surface. We are happy to announce our extended two-year strategic partnership with Bombora. Through this extended partnership, marketers will not only continue to benefit from turnkey access to content recommendations powered by AI but also new innovations as we work with Bombora to expand our data sets and further integrate AI into our platform. 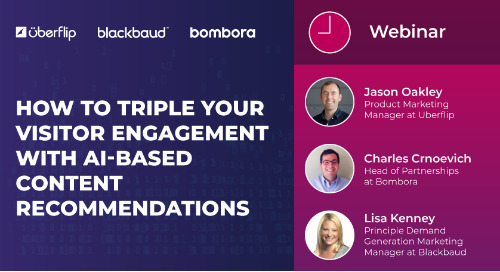 Interested in learning more about how Uberflip AI and Bombora work together to help you activate your buyers with personalized content recommendations? Register now for our upcoming webinar!